Monte and his pirates agreed to release these ships into the general market, making them available to every pirate with an aim to hurt the Banner. The results thus far have been better than expected. 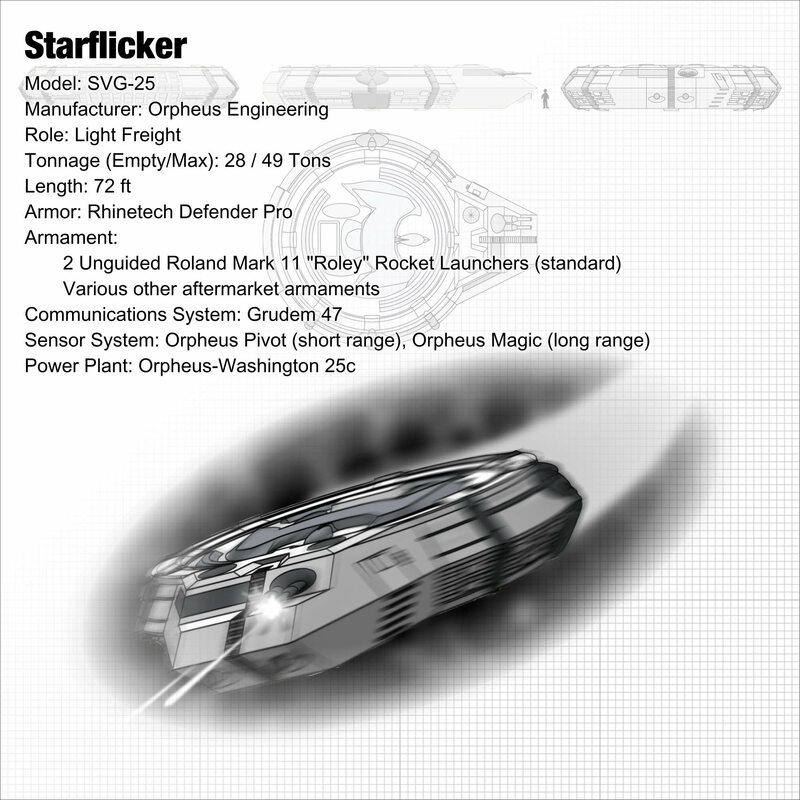 Boasting a nimble frame with over twenty tons of cargo space, Starflickers have obviously seen their fair share of smuggling operations, but illicit racing, espionage, and sabotage have also played a major role in the Starflicker’s rise to prominence.